The Lahore Literary Festival is just round the corner. Don’t expect a million people, but expect a few thousand. Expect the book-lover eyes twinkling in the cool afternoon; the wife who for years has wanted that cute-looking writer to sign that certain book. Expect some writer to steal the show, expect another to bore you to death. Syed Naseer Shah passed away on December17, 2012 at the age of 82 in his native town Mianwali, where he lived like a virtual recluse. In his native town he was regarded as a legend as he trained a generation of poets and writers, who used to frequent his home to seek his guidance. Hailing from a religious background, he got a chance to learn Arabic and Persian, which helped him a lot in his literary career, as he was able to study from the direct sources. Poetry came naturally to him as his father used to compose verse in Arabic and Seraiki. Naseer Shah inherited the literary and religious atmosphere, which helped him chisel his skills, as he was an avid reader of books. We have a serious problem with the way Literature is taught in our universities and colleges — the curriculums of Urdu and English and the way of teaching at these departments has produced multitudes of half-lettered human beings drained of creativity. The alumni of our literature departments know neither Urdu nor English or anything that lies in-between. Thousands of English graduates who passed their exams and the rest who failed were never touched by what they read or heard or wrote as students of literature. But they did get jobs in the Civil Services and Newspapers. The students who opted for Urdu literature, passed out without a clue as to what was going on around them, and therefore did not qualify them for any job other than teaching. Expect the wannabe publisher, the socialite, the journalist. Expect lovers, friends, enemies, acquaintances. Expect parents, teachers, students. Expect the aspiring writer gently cursing under his/her breath at a writer up on stage, mumbling how he/she can write — actually does write — a thousand times better. The era of literary festivals has gained ground. Four years of Karachi Literature Festival and year zero for Lahore Literary Festival. Say LLF — short for Lahore Literary Festival— and see how it rolls around the tongue. Till the last count (on its website), LLF has roped in 50 speakers for two days. But it’s not only writers that the festival is focusing on, LLF is incorporating other artists as well. If it works, LLF will perhaps become Pakistan’s first Art festival. 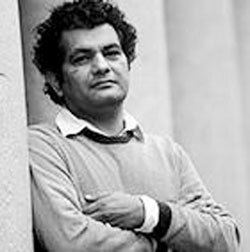 “Lahore Literary Festival has been put together keeping in mind the strong and vibrant cultural diversity of Lahore, a development that has been welcomed by international writers who have wondered how come in Kipling’s or Faiz’s city, there isn’t a global literary festival,” says Razi Ahmed, the CEO of Lahore Literary Festival. 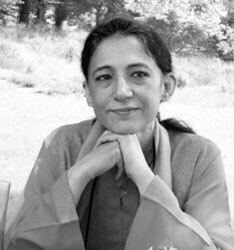 “Many of Pakistan’s, and indeed the region’s great poets and writers are from Lahore and the city keeps nurturing new talent. This vast and incredible talent — in writing, visual arts, and music — must be projected globally for greater interactions between Pakistani and international artists and writers. Given the profile of Lahore, LLF will annually bring celebrated international names in the arts for audiences in Lahore,” says Ahmed. 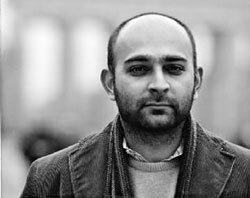 LLF surely has some exciting things planned; one of them is Mohsin Hamid debuting How to Get Filthy Rich in Rising Asia, his new novel, in Pakistan. Musharraf Ali Farooqi is a writer who seems to thrive on festivals. I asked him not only about literary festivals, but also if they are good for the business of writing. “I have not seen the programmes of the KLF and the LLF as yet so I am not sure about the content this year. However, the business side of writing could only matter in a place where the publishing industry exists: it does not exist in Pakistan. But there is a lot of potential in creating partnerships with publishers and writers in India, which has a properly developed and growing publishing industry. It can also help new writers a great deal if they learn more about literary agents and publishing. There is a lot of useful information on Wikipedia on both topics. 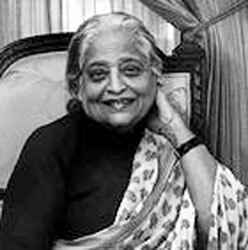 “There is no literary agency in Pakistan but I think that online literary platforms like the Desi Writers Lounge (DWL) which publishes a lot of new South Asian writing, and print publications like Life’s Too Short Literary Review have the potential to expand to offer literary representation to debut novelists and short-story writers. I think publishers would be interested in hearing from these platforms because it means the writing is vetted and is of a certain quality. Life’s Too Short Literary Review has already had success in this area. A festival, any public event, can also be a place to invent a ‘persona’. We all know that certain artistes have a larger-than-life persona, regardless of if their work adds up to the persona or not. But as we know a writer primarily plays with words; he or she may not be a good oral storyteller as well. I asked both Farooqi and Hamid about the persona. Both Farooqi and Hamid say that the work is the ultimate test. “A serious writer will first pay attention to the work itself, which is writing to the best of one’s ability. Because publishers expect writers to meet their readers, it is important to be able to communicate with your audience, but the stunts are best avoided. Just be yourself,” says Farooqi. LLF’s most uplifting quality seems to be a conscious effort to include new, unpublished writers and groups that have been active in promoting new writing, online or otherwise. “Certainly, we want to not just celebrate the past and present, but facilitate new writings and foster reading among students,” says Razi Ahmed. 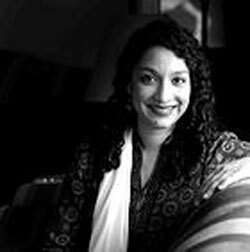 In this regard, LLF has roped in Afia Aslam, the Editor of Desi Writers Lounge (DWL) which is primarily an online writer community, and Aslam is quite excited. “It’s certainly the first time DWL is setting up a booth at a literary festival and we are incredibly excited about taking this step,” says Aslam. “DWL has a loyal following online that has resulted in several real-life meets and some events too, e.g. readings, open mics, a magazine launch and book clubs. But LLF will be the first time that we’ll be formally putting our ‘brand’ out there to solicit registrations and raise a public interest in what we do,” she says. Lahore Literary Festival will be held from Feb 23 to 24, 2013. It was his cousin Asghar Ali Shah who exhorted him to start reading the classic literature, which opened up new horizons for the young scholar. He started editing a literary magazine ‘Soz-o-Saz’ from Mianwali in 1958 whose life proved to be short. 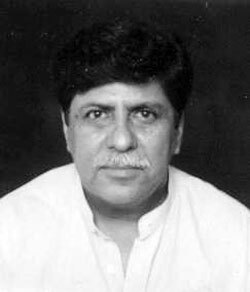 Later he edited many other magazines and newspapers from his city like ‘Azan-e-Haq’, ‘Almujahid, Mianwali Gazette’ and others. He taught in a school and a college there but his fickle nature didn’t allow him to carry on the job for too long. After a brief stint in Jamaat-e-Islami, Shah sahib joined National Awami Party, and later Pakistan Socialist Party. He remained the general secretary of Pakistan Peoples Party, Mianwali. On the literary front, he wrote poetry in Urdu as well as Seraiki, wrote short stories and also translated few religious tomes into Urdu. In 2003, Naseer Shah started writing for ‘Naya Zamana’, a liberal monthly magazine edited by Shoaib Adil who was the son of his friend Prof Rafiullah Shahab. That started a new phase in his life when, his articles and essays reached a larger audience. “He was my father’s friend and I requested him to start writing for us. He wrote for us till his last breath and we published seven of his books. We received tremendous feedback for his articles. He rarely ventured out of Mianwali and that’s why not many people knew about him or his works. ‘Naya Zamana’ acquainted him with a wide section of readers”, says Shoaib Adil, the editor of ‘Naya Zamana’. Naseer Shah’s courageous attempt to dig out the real Iqbal can be seen in his book ‘Kuch Shamein Fikre Iqbal Kay Sath’, he took to task all those so-called experts of Iqbal who tried to give a touch of divinity to Iqbal. In his book Naseer Shah gives due credit to Iqbal as an outstanding poet but he ridicules those who brand him as a philosopher. In his view, he was a student of Philosophy and nothing more than that. He points out many other discrepancies in his poetry as well as his personal life. Here we see Iqbal made of flesh with all the foibles men are made of. His deep knowledge of Arabic language and literature helped him to study the Quran in depth and without any bias. Naseer Shah removed many myths which were woven by the clerics to restrict the women to their homes. 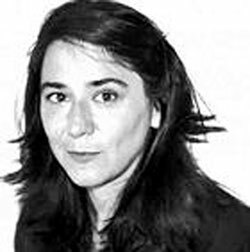 When Benazir Bhutto became the prime minister for the first time, all the clerics started spewing out fatwas against a woman becoming the head of state. Naseer Shah wrote a short book titled ‘Aurat Kee Sarbarahi Aur Islam’ and forcefully proved by quoting Quran and Hadith that a woman can head a state as per Islam and the verses of Quran. Recently, he wrote a book castigating the terrorists and proved that suicide bombing and terrorism is not endorsed in Islam in his book ‘Islam Aur Dehshatgardi’, which is being translated into English also. He was writing a series of articles on Jinnah and the Freedom Movement in which he busted many myths and official lies. He took Jinnah to task for fomenting religious frenzy to garner the Muslims under the banner of Muslim League. He was of the view that to win the elections of 1946 the Muslim League resorted to a religious frenzy to win the elections. Those who came after Jinnah picked up this stratagem and thus the newly born country started degenerating. With the death of Syed Naseer Shah we have lost a rational scholar and a voice of sanity that continued to vouch for liberal and enlightened values till his last breath. Of course there are glorious exceptions, which only prove my proposition. While researching the curriculums for teaching and research at various international literature departments, I visited the website of the University of Cambridge’s Faculty of English, where they promise the students wishing to enrol for the Cambridge English Tripos that “Graduates from the Faculty have an exceptionally good record in achieving employment in a wide range of areas… in arts management or information management, or in academia and teaching...and are valued by employers in many professions, such as law, the civil service, management, industry, accountancy and social work.” Can we say the same, or anything near to this, for graduates of our Urdu or English departments? There may be several causes for the barrenness of our literature departments, but one major reason is the absence of a subject called Comparative Literature. Briefly described, this is the study of literature across boundaries — whether of genres, cultures, countries, languages or art forms. I suggest that introduction of this subject will help revive literature as a meaningful field of study that can equip students with the skills of critical thinking, close reading and good communication. Only by ‘elevating’ the study of Urdu literature to the ‘cultural’ level of English literature, and ‘downgrading’ the study of English literature to the social level of Urdu literature, won’t solve the problem. The exercise actually is about ‘right-sizing’ the subject of literature in Pakistan, where teaching of Urdu literature takes us into the world that existed 150 years ago, and English literature denudes us of our creativity. What our students of literature experience is really “half life”. Dr. M.D. Taseer (1902-1950), the first Hindustani to earn a doctorate in English from Cambridge University in 1936 wrote an article in 1933 titled ‘Bazm-e- Farogh-e-Urdu’ where he confessed, “I have been feeing for a long time that the result of defective teaching at our universities is that the majority of our students remain ignorant of English literature and the literary traditions of our own languages”. This “Bazm”, he added, was founded not just for promotion of Urdu, but to give our youth a correct understanding of English literature. 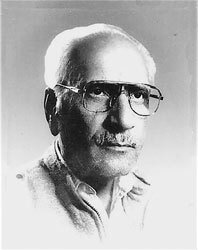 Mohammed Hassan Askari (1919-1978) taught English literature first at Delhi College, and after independence, at Islamia College, Karachi. He wrote copiously on several aspects of “Comparative Literature”. His interests ranged from French literature and criticism and painting, Urdu and English literary studies, Arab metaphysics, European Philosophy, Marxism, Islam in the West etc. This was the assessment made decades ago. Today, by the principle of ‘half-life’, we hardly hear a voice of revolt against our teaching of literature. We have become the by-products of this culturally bankrupt system of teaching that occupy nearly all the academic posts. These dullards approve curricula, write (or prescribe) texts, teach classes, set examination papers and then mark them and produce results. There is no research worth mentioning. The term “Comparative Literature” was first heard in France in the first quarter of the 19th century, an age of national struggles in the late 19th century Europe, when national boundaries were being erected and the whole question of national culture and national identity was being hotly debated throughout Europe and the expanding USA. Nations engaged in struggle for independence were also engaged in a struggle for cultural roots, for a national culture and for a past. Emergent nations have had to establish a tradition and canon. The idea of a cultural heritage that sprang from the people from the “genuine” “authentic” voices of the collective, upon which the nation was based, was a very powerful one in the age when revolutions swept away Empires to give birth to territory-based loyalties and cultures. The subject involves the study of texts across cultures; it is interdisciplinary, and, it is concerned with patterns of connections in literatures across both time and space. In Comparative Literature we do not divide literature up according to where it was written or what language it was written in, as you would if you were studying English or Urdu literature. Instead we divide literature in other ways, such as by its genre, or the period in which it was written, or by themes. The term seems to have been derived from a methodological process applicable to the sciences in which comparing (or contrasting) served as a means of confirming a hypothesis. In my scheme of things, a course in Comparative Literature would initially involve teaching of the literary histories of both the Urdu and English tradition, major poets, novelists, prose writers and playwrights both of Urdu and English plus thematic comparisons. Because study of foreign languages is one of the major focuses of this subject, later course can be added to include Persian, Arabic, Hindi, French, German, North American and South American literatures, and possibly Chinese and Japanese too. 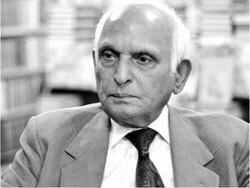 These days there is a debate going on in our media whether ‘Pakistani Literature in Urdu exists’ (see Intizar Hussain’s column in Dawn’s Books and Authors January 6, 20012). This question properly belongs to “Comparative Literature”. Recalling what Jinnah said about India-Pakistan relations that they should be modelled on US-Canadian paradigm, let’s take a look at what Linda Hutcheon, Professor of English and Comparative Literature at University of Toronto has to say on the subject; this may throw some light on our discussion on the subject of Pakistani Literature: “I live in a country that shares a contrarian identity with the discipline I study. Like comparative literature, Canada is intensely self-reflective — another way of saying that it has a persistent identity crisis, or at least persistent doubts how to talk about itself. It too is founded historically upon exile, immigration, and displacement. It too has worries about separation, that is, about its ‘intactness’: Quebec, with its recurrent sovereignty-or-separation aspirations, may be to Canada what cultural studies (or area studies, or ethnic and postcolonial studies) are to comparative literature. Both my country and my discipline are deeply concerned about things they feel are central to their identity that are threatened today: health care policy, on the one hand, linguistic polyglottism, on the other. Both fear engulfment by economically politically more powerful entities: for Canada, it is the United States; for comparative literature is the national literature departments. 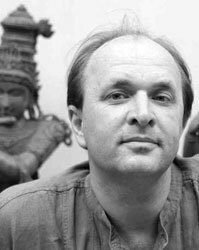 Each has experienced what Haun Saussy calls “a discontinuous history in which it is not always the protagonist”. Like Canadians, comparatists often have difficulty explaining themselves in other than negative terms — as what we are not”. Introducing a new subject would require great effort on the part of academics and writers, and poets, and deep commitment on the part of our university leaders under the expert guidance of the Higher Education Commission.